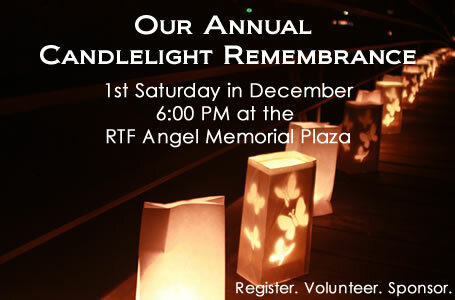 Please Join Us on the first Saturday of December for our Annual Candlelight Remembrance Event at the RTF Angel Memorial Plaza (directions) in McCabe Meadows Park in Parker. Registration will open May 1. 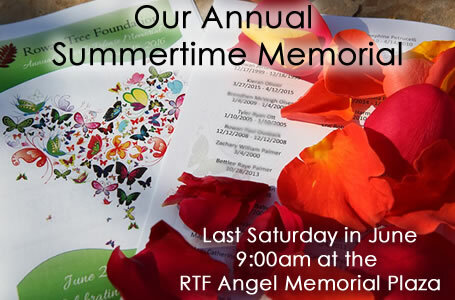 Join us as we celebrate our children during our annual Summer Memorial on 6/29/2019 – the last Saturday in June each year. This event is free to attend and will be held at the RTF Angel Memorial Plaza (directions) in Parker. This is a family event and children will be present. For those of you who are familiar with the area, the park is located about 1/2 mile south of Twenty Mile Road, at the intersection of Parker Road and Indian Pipe Lane (across the street from the newly remodeled Methodist Church, which has a miniature church in its driveway). 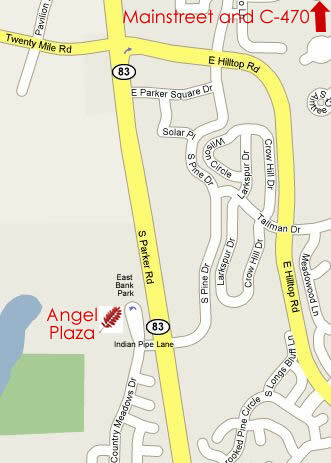 For those of you who are unsure, the park is located at the intersection of Parker Road and Indian Pipe Lane. Just south of Twenty Mile Road on Parker Road. If you are heading south on Parker Road, you’ll drive through the town on Parker Road. Pass Mainstreet, and Twenty Mile Road. Pass the large shopping centers with Best Buy and Home Depot, Petsmart, etc. At Twenty Mile Road, get into the right lane, because the park is the next RIGHT and the next stoplight at Indian Pipe Lane. Turn Right to enter the park. Once in the park, you’ll follow the bike path across the steel bridge. You’ll find us on the other side!